We are blessed with a dedicated staff at Vanish Cleaning Services Brisbane, which is passionate about giving 100% satisfaction guarantee to all customers. Feel free to call us for free quote or come over and experience our high quality expert services delivered by our professional team of vastly trained certified cleaners. Vanish Cleaning Services Brisbane will enable you enjoy maximum use of a steam cleaned mattress that has been properly cleaned by expert certified mattress steam cleaners. We are experts in mattress sanitizing, when it comes to the process of steam cleaning a mattress Vanish Cleaning Services Brisbane gives expert service aimed at enabling you to use healthier bedding. Vanish Cleaning Services Brisbane mattress steam cleaner will use state-of-the-art equipment to provide you with excellent service. The popularly known hot water extraction technique will be utilized in the cleaning process to have all material of your mattresses effectively dried within the same time. An eco-friendly spray loaded with a powerful detergent will then be injected into your mattress to completely eliminate all present contingents of bacteria residing therein, this will automatically kill all mites while also clearing all dust in the mattress. All sorts of dirt and fungus will be then be extracted by use of the suction system. Lastly, deodorization shall be done properly to all your fabrics so as to leave all your family with a cleaner and also healthy mattress. Vanish Cleaning Services Brisbane is a premier mattress cleaning company, we take a lot of pride in fully satisfying all the needs of our esteemed clients 24X7. Whenever we are contracted to provide a mattress cleaner to any of our clients we do it to the best of our professional ability, our expert mattress cleaners will ensure protection of your mattresses while extending their life enabling you to attain sanitization objectives for the entire your household. 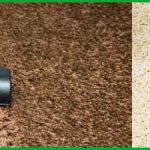 Vanish Cleaning Services Brisbane is a mattress cleaning ideal solutions provider known for effectively eliminating all kinds of bacteria that reside within your mattresses. Mattress all the dust-mite in your mattresses shall be removed within seconds. A mattress is our only source of comfort in our sleep and relaxation. It is necessary to maintain the quality and life of a mattress by following routine mattress cleaning. Stains can too damage the mattress fabric and can also promote germ growth as well. Vanish Cleaning Services will deliver their mattress stain removal service at your homes in no time.Our professional mattress cleaners will get rid of any kind of stain from the mattress effectively. Stains will be treated with various commercial solvents and products and eradicated easily. Hire Vanish Cleaning services today for mattress stain removal at affordable costs today and say goodbye to old and stubborn stains in no time. Why Vanish Cleaning services Brisbane are the right mattress Cleaning Company in Brisbane? We make use of latest and highly effective cleaning technologies that are available in the industry. This aspect gives Vanish Cleaning Services Brisbane an edge over competitors in the industry. Our team of professional mattress cleaning staff will make it possible for you to benefit from latest trends emerging in cleaning technologies. When you use our services you will be able to receive eco-friendly services for all needs in domestic mattress cleaning. Our industrious team consisting of certified cleaners know that any kind of mattress require premium cleaning services and that is why Vanish Cleaning Services Brisbane makes use of the most eco-friendly cleaning agents. At Vanish Cleaning Services Brisbane we provide expert services to all types of clients needing our same day services. As a reputable cleaning company we serve customers who are either domestic or commercial.